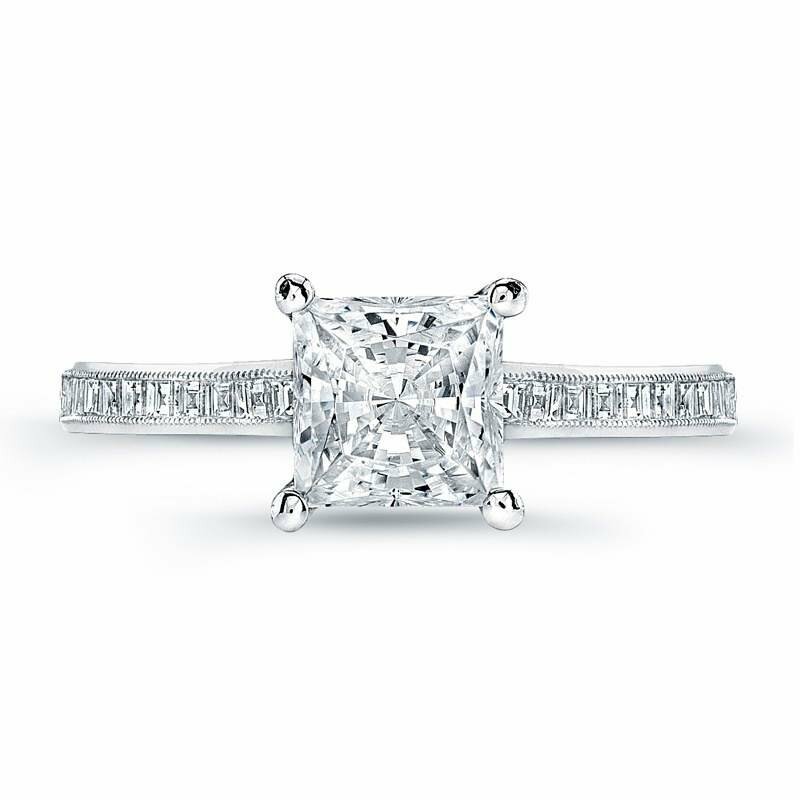 (0.30ct ttl) The timeless charm of channel set, carr cut diamonds. 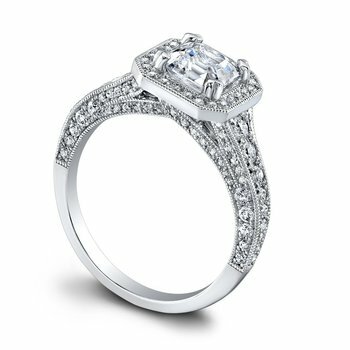 Hayley's accent diamonds flow halfway around the band for an eternity feeling. 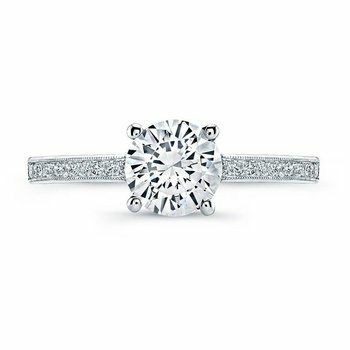 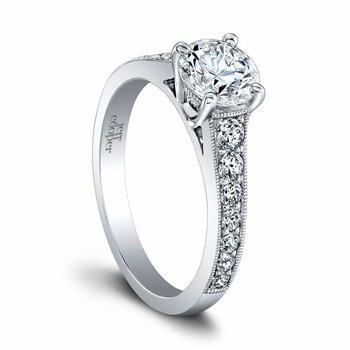 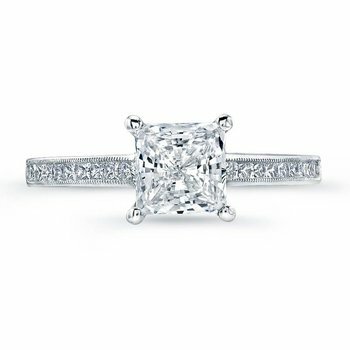 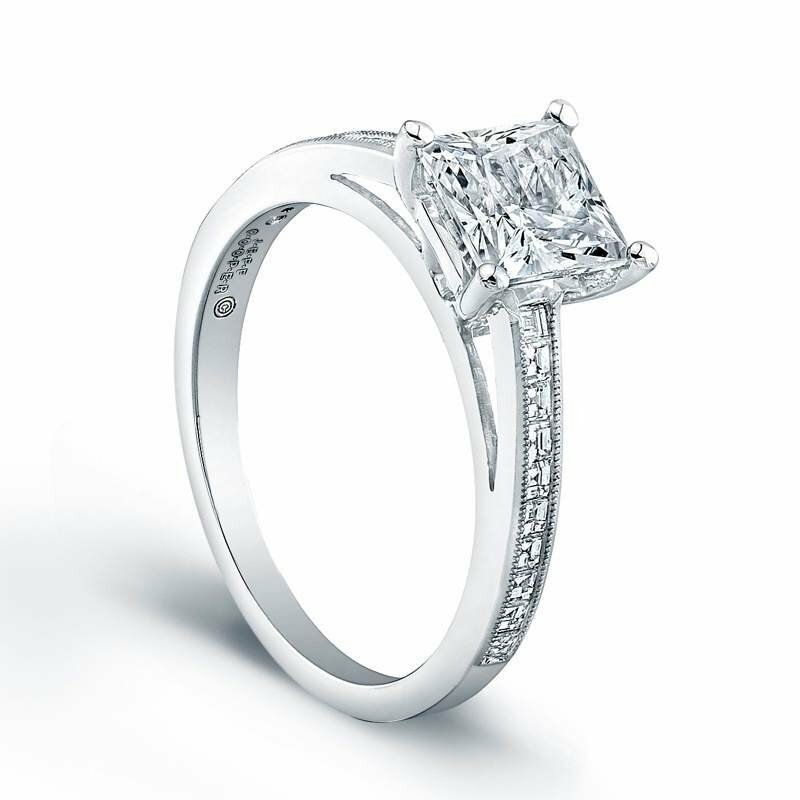 And this glamorous engagement ring's delicate design lets your center stone be the center of attention. 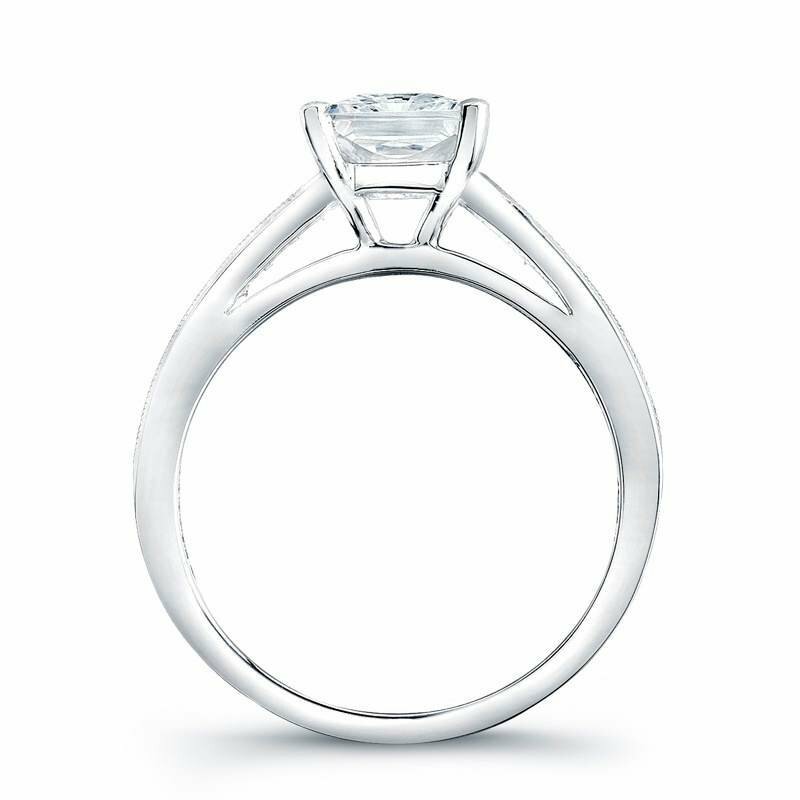 Available in several widths. 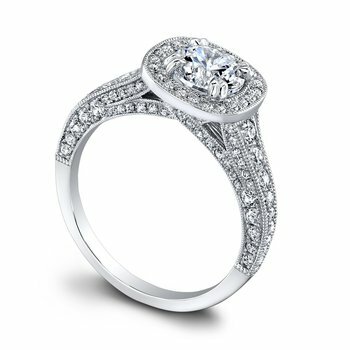 Can be custom made to fit any shape center stone. 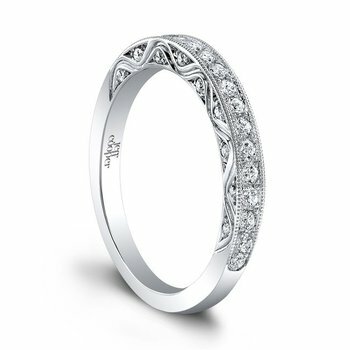 Hand crafted in either Platinum, 18K Gold or 14K Gold.